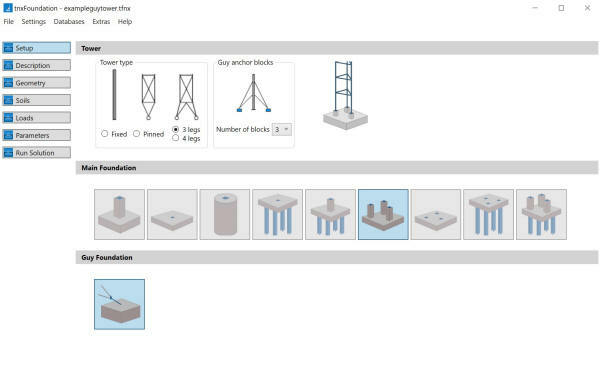 tnxFoundation is a standalone application for tower foundation design. It may be used as an extension of tnxTower, or as a separate program. 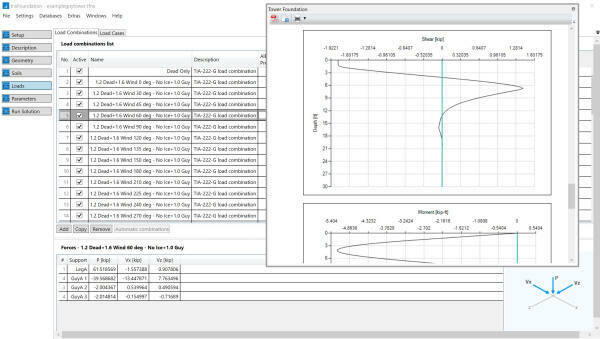 tnxFoundation features automatic import of support geometry and load data from tnxTower analyses. Alternatively, this information can be entered manually for each foundation design project.